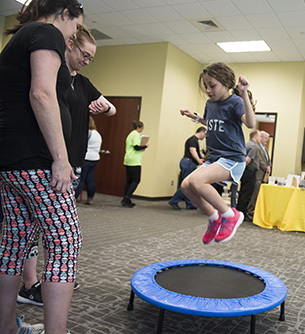 KANNAPOLIS, N.C. – Rowan-Cabarrus Community College welcomes the community to its eighth annual STEM Open House, where adults and children of all ages will delight in exploring interactive exhibits showcasing the College’s Science, Technology, Engineering and Mathematics (STEM) programs. The event is scheduled for Thursday, April 4, from 5 to 8 p.m. at the College’s building at the North Carolina Research Campus. “This is one of our favorite events of the year, and one of our most popular. 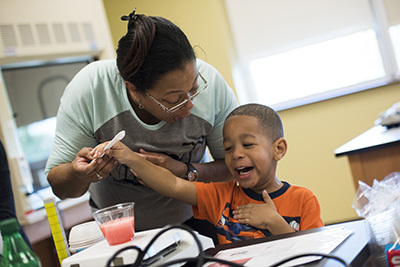 As instructors, we love to see faces light up with the joy of discovery, and these exhibits will ignite curiosity and indulge the senses,” said Dr. Carol Scherczinger, Rowan-Cabarrus dean of arts and sciences. Departments across Rowan-Cabarrus will host fun, hands-on activities designed to both teach and entertain. Attendees can play X-ray football, lend their hands to create a collaborative mural, and make ice cream with liquid nitrogen. They will also have the opportunity to compete in a small house construction contest, witness the launch of a weather balloon, and find out how DNA is extracted. The Rowan-Cabarrus STEM Open House is one of the many events occurring across the state as part of the N.C. Science Festival during the month of April. The festival aims to bring science to life for children and their parents. During the community event, Rowan-Cabarrus also will collect non-perishable food items to be donated to its on-campus food pantry, which assists students who are experiencing food insecurity. 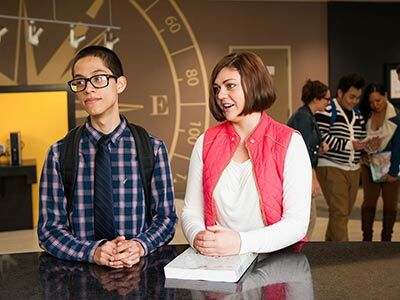 Surrounding high schools have been invited to bring students to enjoy the STEM Open House exhibits the next morning on April 5. For more information about the event, or to inquire about bringing a school group, please contact Crystal Ryerson at 704-216-3806 or crystal.ryerson@rccc.edu. The STEM Open House will be held on the North Carolina Research Campus at 399 Biotechnology Lane, Kannapolis. 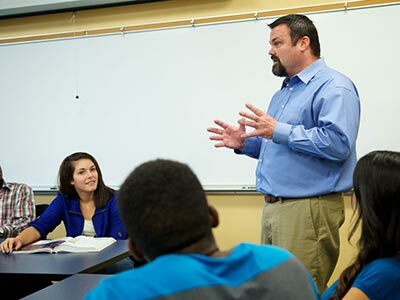 For more information about Rowan-Cabarrus Community College, please visit www.rccc.edu.